Personalised Engraved Jewellery, Personalised Engraved Gifts, Photo Engraved Jewellery photo Engraved Gifts. 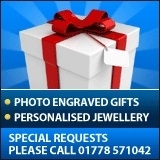 - Personalised Engraved Jewellery, Personalised Engraved Gifts, Photo Engraved Jewellery, Photo Engraved Gifts. PersonalisedGifts4u are suppliers of Personalised Engraved Jewellery, Personalised Engraved Gifts, Photo Engraved Jewellery, Photo Engraved Gifts, Personalised Engraved Tankards, Personalised Engraved Glass Tankards, Personalised Engraved Lighters, Personalised Engraved card Holders, Pocket Watch, Personalised Engraved Glassware, Personalised Engraved Crystal Glassware, Personalised Engraved Pet Tags & Gifts, as well as items such as a Personalised Engraved Pocket Watches. 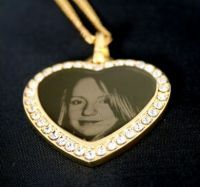 We can engrave both pictures and text messages to produce Personalised Engraved Jewellery that is completely unique to you. Our Personalised Engraved Jewellery. range includes pendants, in both heart and dog tag shape, as well as bracelets and key fobs. Also in our Personalised Engraved Jewellery range are trinket boxes as well as Lockets. Let our Personalised Engraved Jewellery range bring a touch of romance to your loved ones. From Personalised Engraved Business Card Holders to Personalised Engraved Tankards, our Personalised Engraved Gifts will be a special gift for everyone. 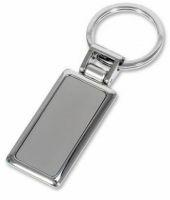 From Cufflinks Money Clips, Pens & Key rings Our Personalised Engraved Gifts Selection will be liked by all. Personalised Engraved Gifts will be cherished by all and will be a lifetime gift. See a face light up when they unwrap their Personalised Engraved Gifts. They will not be disappointed. For Any occasion,our Personalised Engraved Gifts with your choice of words including a stunning engraved design from our range will not let you down. With our state of the art machines we can now photo-engrave onto gifts and jewellery to produce Photo Engraved Jewellery and Photo Engraved Gifts. Have a Lighter turned into a n Personalised Engraved Lighter, with text , image or both. Have a logo for your club engraved. Photo Engraved Jewellery will make any special occasion one to remember. 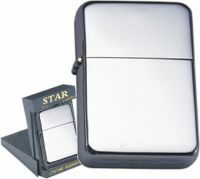 Photo Engraved Gifts can be a Personalised Engraved Lighter to a Photo Engraved Jewellery Pendant. Photo Engraved Jewellery will make a perfect gift for a Grandmother, Daughter, or Husband. . Photo Engraved Jewellery & Photo Engraved Gifts will find a special place for everyone. Look at our range of Photo Engraved Jewellery & Photo Engraved Gifts and choose from the range of items that will please anyone. Personalised Engraved Tankards can be a Birthday gift, marriage, or just personal thanks. Have your club emblem on your Personalised Engraved Tankards or your football team. Personalised Engraved Tankards can be ornamental as well as commemorative. Also see our Personalised Engraved Glass Tankards which can be decorated in equal quality. 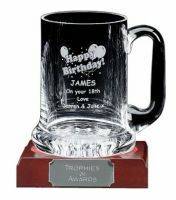 Personalised Engraved Tankards can be for Granddad, Grandma, Dad or Mum. Please take a look at the variety of our Personalised Engraved Tankards. Our Personalised Engraved Crystal Glassware can have Club Logos, Emblems, Insignia, as well as Birthday, Christening, and any other occasions that you wish to think. Personalised Engraved Crystal Glassware can be Crystal Glass or just glass. Personalised Engraved Crystal Glassware will be cherished by all, and will provide a centre piece for any cabinet. Please view all the range within our Personalised Engraved Crystal Glassware & Tankards and make up your own choice. Treat your pet to one of our Personalised Engraved Pet Tags . Or even one of our Engraved Gifts for a pet. Personalised Engraved Pet Tags And Gifts will ensure the better chance of a safe return of a lost pet. Engraved Pet Tags And Gifts will be a sure fire for satisfaction for life. Engraved Pet Tags And Gifts Include name tags, Kennel name tags, or even remembrance. For a full tour please take a look at our full range of our Engraved Pet Tags And Gifts. So be a sport and treat your pet (and you) to one of our unique ed Engraved Pet Tags And Gifts. There are so many gifts to choose from it can be difficult to know where to start. 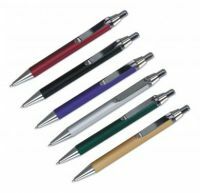 You can be assured that most of our gifts can be engraved and engraving is free. Even textiles, such as bags, can be printed with photograph images so the options are amazing. The tips below may help you to decide on which gift would be the perfect choice for that special person. You will be able to create your own special message, and even choose the font. All these options are available at check-out. Our selection of gifts ranges from wedding and christening gifts, special birthdays and occassions but also we sell a range of fun gifts. Everyone if different but we are confident that Here you will find a suitable gift. Below are some tips that may help. Some gifts are contemporary and others are traditional. Always think about the recipient and which type of gift they would appreciate. Which type of gift will be gratefully received and show that person how much you appreciate them. The recipient may love keepsakes and others may be more practical . Of course then there is your own budget to consider. As our engraving services are free you will find within our website a range of low budget gifts which are beautifully presented. Bridesmaids gifts are given by the bride to her bridesmaids and maid of honour as a permanent keepsake of the wedding. 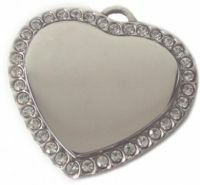 The best gifts are those that can be used both during and after the wedding, such as a personalised handbag mirror. Personalised slippers for the bridesmaids are a popular choice for those who enjoy practicality but with a special twist. They can be stowed away as a keepsake or used here and now as a reminder about the fun and special times recently enjoyed by all. The gift to the maid of honour can be similar to the bridesmaid gifts but traditionally a bit more expensive. 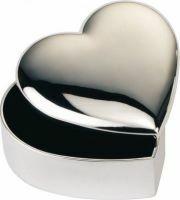 Bridesmaids that will enjoy a special engraved gift to keep and use may like engraved trinket boxes. This is a gift that will sit proudly on the dressing table as a permanent reminder of the wedding and that persons role in it. Photo frames can be engraved, and many come in many shapes sizes and styles. They can be used for years, and are both traditional and practical. Photo frames can be bought for anybody, as they are decorative, can be personalised and most of the population enjoy displaying photographs around their homes. For ushers gifts, consider cufflinks, pocket watches, silver frames, watches, and tankards. The gift to the best man may be similar to the ushers gifts but should be a bit more expensive. Cufflinks can be worn again and again. There are so many contemporary and novelty cuff links to choose from. From silver engraved cufflinks to dedicated best man cufflinks there will be a perfect pair out there for your best man, ushers and the couple's fathers. 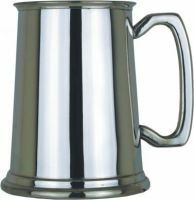 Tankards are steeped in history, practical and can be engraved with special message text and or a photo. Tankards were traditionally used for holding alcoholic beverages, and in years gone by have been made from a range of long lasting materials. Tankards are traditional christening gifts. Traditional and practical gifts are pocket watches. These are very popular gifts for the best man, ushers and fathers. 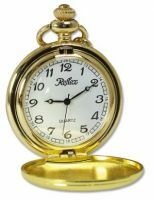 Pocket watches now usually come with a warranty and can be engraved with text or even photographs. There are many styles such a skeleton pocket watches, to those with a face cover. For those who wish to spend a little extra on gifts for her why not buy some pink champagne complete with its own special message on the label. These usually come complete with a luxurious presentation box. A Personalised Engraved Pocket Watch can come in themed variations. We can provide a Darts Engraved Pocket Watch, A Poker Engraved Pocket Watch, as well as Golf and other themed engraved Pocket watch.